iOSnoops is constantly on the lookout for great deals, and here are 35 iPhone and iPad apps that have just been discounted. 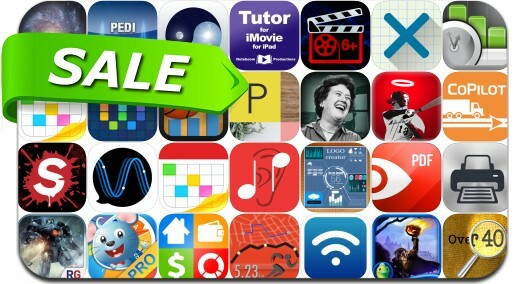 This app deal alert includes Transistor, Printer Pro, Surgeon Simulator, Workflow: Powerful Automation Made Simple, Fantastical 2, PDF Expert 5, Sleepy Hollow: Mystery Legends, Pacific Rim and many others. Ultrakam 4k. The Professional Camera App.